Lack of sodium can be a production limiting issue. It is easily fixed with salt. 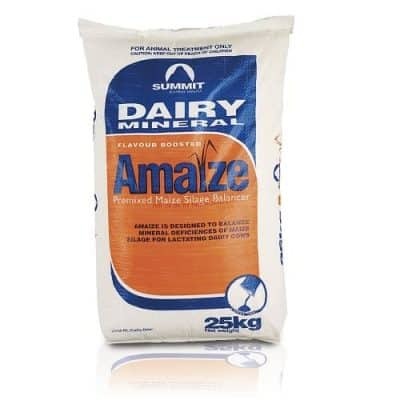 Dairy Mineral Amaize is specifically designed for use with maize silage when feeding out. It contains calcium, magnesium and sodium – minerals that are essential for milk production but they are deficient in maize. Summit Dairy Mineral Amaize contain molasses for greater palatability and it also reduces dust.